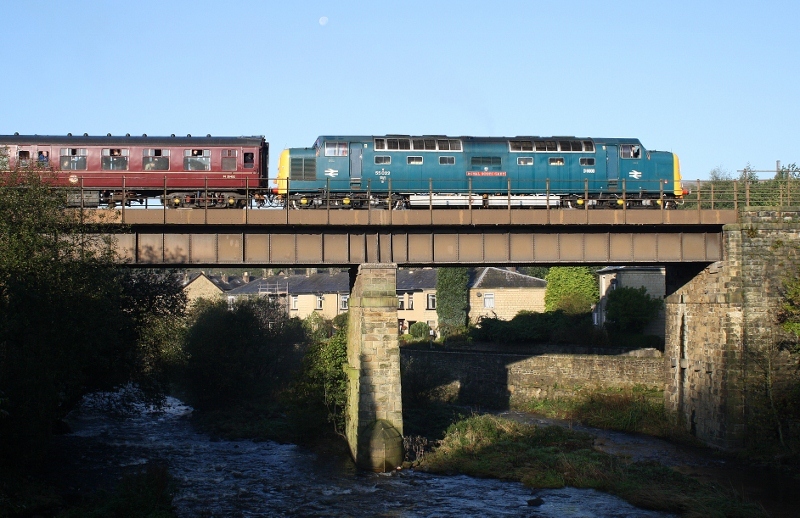 Martyn Hilbert's Railway Photography - 2011 - Deltic 55022 crosses Brooksbottom Viaduct. Deltic 55022 crosses Brooksbottom Viaduct. Class 55, 55022-'Royal Scots Grey', crosses Brooksbottom Viaduct with the first train of the day, the 09.00 Bury to Ramsbottom service, on Saturday 15th October 2011 during the ' Deltic Gathering' Gala held on the East Lancashire Railway.